Contemporary Jazz has become so dense and encompasses so many elements and sub-genres that it is almost impossible to be tracked, at least in terms of the names and the very good artists that show up. Basically, all that is played, improvised and perzonalised very well, all that nicely blends groove and shape, with or without the blues, all that is noble and honest at an elevated level of expression can be considered jazz. It's on us to select what's more interesting and relevant in order to keep a connection with the root, with the essence that defines this musical expression. Afterwards the masters show up to turn any combination of sounds into a masterpiece, making everything to be natural and quite simple. When Ibrahim Maalouf came with the brave intention of articulating the quarter note in the temperate system, the internet exploded, the halls filled up and the impressive performances began to appear regularly. The Levant embraces the improvisation of the modern jazz, while the virtuosity of microtones evolves, offering us more and more majestic and complex works. 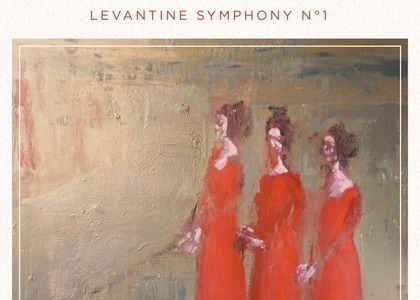 West and East meet again the Levantine Symphony No.1, a powerful and delicate hymn that brings together at an advanced level of orchestration levantine cultures in a harmonious interaction with a global culture, with Western music in particular. This contemporary symphony has connection both with tradition, with values that shape its identity, and with modernity anchored in universal values. Becoming a very popular musician, Ibrahim Maalouf is still an abundant source of authenticity and musical beauty.